I’ve only seen six or seven films from Robert Altman’s large body of work, but based on those I associate him with fast-paced, overlapping dialogue (so that sometimes you have to replay a scene to catch everything that was said, and at other times you’re content with a general impression of the background chatter) as well as large casts of characters whose lives cross and collide (notably in Nashville, Short Cuts and Gosford Park). Lots of words, lots of people. There are some very beautiful images in Altman’s movies – McCabe and Mrs Miller comes immediately to mind – but on balance I thought of him as a director who was more interested in cinema as filmed literature than for its visual possibilities. So I was surprised to hear him say, in an audio-commentary track for his 1977 film 3 Women, that his ideal film “would be a painting with music”. But then, I was unprepared for 3 Women in general. It has a stillness and a thread of menace that makes it different from any other Altman movie I’ve seen. Sure, there are a couple of those familiar, busy group scenes with half-heard dialogues, but more often there is drawn-out conversation between two people punctuated by stretches of silence, or the faraway sound of dripping water, or the distant echoes and dull thuds you might hear if you were submerged in a tank. Generally speaking, water plays a big part in this film, as does the idea of being unnoticed or cocooned. At times you might even be lulled into thinking the whole movie is taking place underwater, or in a place where the usual laws of time and space don’t apply. Even when the plot seems to be moving along “normally”, something feels a bit off. That sounds suspiciously like a dream-world, I know (it also ties in with some of the recent discussions around Inception, notably in this Jim Emerson post), and indeed Altman claims he made 3 Women after he got the idea in a dream. Not the idea for the whole script, just the title, the desert setting, the basic concept of “personality-theft” (more accurately, the personalities of two women merging with each other) and the lead actresses Shelley Duvall and Sissy Spacek, both of whom are outstanding. Spacek plays a wide-eyed young girl named Pinky, who has just got a job at a spa for ailing senior citizens. She seems out of place from the first time we see her (it’s as if Spacek’s Carrie had escaped her tormenters the year before, erased a few memories and zombie-walked her way to a new town), and it isn’t surprising when she starts to idolise and imitate another employee, Millie (Duvall). They end up as room-mates, Millie shows Pinky around the desert town, Pinky behaves like a kid, putting her neck through a noose at a broken-down amusement park, yelling joyously when she sees a “miniature golf” signboard. This set-up leads you to expect a story about a worldly-wise woman becoming role model and guide to a waif. But that doesn’t happen. It soon becomes painfully obvious that Millie – seemingly smart and poised and self-sufficient – is just as much of a lost soul in her own way, and perhaps even more mentally fragile than her new friend. Though the two women rarely even raise their voices at each other, their mind-games escalate. 3 Women has plenty of vivid imagery that you’d associate with a dimly remembered dream: an unexpected zoom-in (probably the only one in the film) to twins gazing blankly at the camera, a childbirth scene filmed continuously in long-shot through the perspective of someone watching from outside the house, a recurring view of spooky murals created for a swimming-pool floor by the film’s “third woman”, an artist named Willie, and several blurred or shadowy shots of faces seen through a glass window. (The first time we see the three women together in the same frame, two of them are looking through a glass window at the third, whose reflection can be seen in the pane.) But at the same time, I thought the one explicit dream sequence – a montage of half-seen images – was the least interesting part of the film. It felt a bit like Robert Altman trying to be David Lynch (who, incidentally, made Eraserhead in the same year **) but without the same conviction or genuine feel for the material. 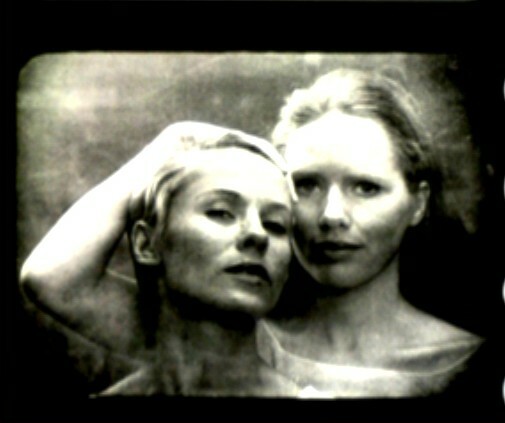 After watching 3 Women one-and-a-half times (because I wanted to listen to some of Altman’s audio commentary), I brushed off my DVD of Ingmar Bergman’s Persona and saw it all the way through: the relationship between Millie (as a caretaker/nurse) and Pinky (as her ward) had reminded me of Bibi Andersson’s nurse Alma looking after Liv Ullmann’s silent, uncommunicative Elisabeth (and Altman has apparently acknowledged the influence, though I didn't hear it on his commentary). But I had forgotten how quickly the roles start to shift in Bergman’s film, with Alma revealing private memories and doubts – and consequently her own emotional fragility – to her patient within the first 20 minutes of the film. I had also forgotten such specifics as the ambient water sounds in at least two key scenes in Persona. 3 Women might be considered a cinematic sibling to Bergman’s film (and Lynch’s Mulholland Drive might be a close first cousin, with Brian DePalma’s Sisters related to them all by marriage...but then, such associations can go on forever). It’s a film that seems self-consciously slow-moving in parts, but the lead performances keep you interested in the characters, and its quietness makes for a contrast to that very noisy and busy “dream” film that everyone has been talking about in the last month. ** One of those little connections I had no idea about until I saw the David Lynch Wikipedia entry. Sissy Spacek's husband Jack Fisk played the role of the creepy "Man in the Planet" in Lynch's Eraserhead, and Spacek herself received special thanks in that film's credits. And Fisk also did the production design for Mulholland Drive. Wonder if this makes Spacek and Fisk a "dream-couple". Altman (along with Scorsese and Allen) has to be among my favourite modern (post 1960) filmmakers, though I've seen only four of his films. Need to revisit 3 Women. Short Cuts and The Long Goodbye are most interesting. The multithreaded picture that Altman pioneered appears totally original and bereft of past inspiration. I cannot recall films remotely similar to Nashville/Short Cuts from Classic Hollywood. Also, the performances in his films are exceptional, without exception! Short Cuts features arguably Jack Lemmon's greatest performance, despite Lemmon enjoying barely 15-20 minutes of screentime. Elliot Gould in The Long Goodbye overturned the noir mythology by making Marlowe a somewhat unsure, sentimental detective! Looking forward to seeing more of his films. Need to watch the film again after reading this piece - there's so much I did not notice the first time around. The thing I love about Altman's films are those long, seemingly inconsequential, conversations that groups of people have, and the film seems to be not moving. But, for me, it just works in terms of making me learn so much about the characters without being told anything explicitly. Have seen very few of his films, but am a huge fan of Gosford Park (which I saw before The Rules of the Game, so maybe the effect was stronger) and A Prairie Home Companion. Bit of a correction need in the post: You have mentioned the film's name as 3 Sisters in the third paragraph. Captain Subtext: thanks, have changed it. For some reason I often think of this film as 3 Sisters! ...long, seemingly inconsequential, conversations that groups of people have, and the film seems to be not moving. But, for me, it just works in terms of making me learn so much about the characters without being told anything explicitly. I agree. He had a real talent for that sort of thing. Jai, wonder why you think that he is more interested in filmed literature.The mash-up technique has not been used in literature much,and hence, just speaking tradition wise, is quite nonliterary , no? Also, PTA's early work (Boogie Nights and Magnolia) reminded me so much of Altman. Interestingly, one of Altman's favourite films is Rear Window, which is as far as it can get from "filmed literature". It is also Hitchcock's most Altmanesque film coming to think of it. The other thing to like about Altman is that the performances he elicits are extremely natural, thus managing to capture the flavour of day-to-day life in a way few directors can. He is a bit like Howard Hawks in that respect. This is in sharp contrast to a lot of modern "Method" performances where actors spend a lot of time getting into the mood by furrowing their brows, staring at each other and eventually ending up giving highly stylized performances (Eg: Brando in Godfather). Hi, Back after a long time...! In the early 70's he made "Images" which is even more hermetic, dream-like and full of "stillness" and "menace". But I think this film is more successful, he is much more confident and sure about his style. But still i think, as you noted, it is not his real forte. Like the previous commenters I also love the actors in Altman's films. He extracts such wonderful performances without for a moment and ever giving in to any actor's vanity or self-regard. On McCabe's dvd commentary he talks about how Beatty was pissed off when he saw the final film. (He was also I believe one of the producers or at least helped finance the film). Here he was, after rehearsing and thinking a great deal about his role finally ready for his monologue and no sooner he starts delivering it the camera moves on to something else and his voice gets lost in some background dialogue! about the comment about "filmed literature": To me Altman was a great cinematic visionary. People talk of deep focus in works of ford, welles or wyler - the way they used depth of focus and background & foregound to create dramatic effect... I think altman does the same thing with dialogue. At the same time with his zooms and randomly roving camera, I as an audience feel that i am actively involved in looking at things the way i want to see rather than fix something in a frame with bg and fg and make the audience see what you want them to see. Watching Nashville and McCabe & Mrs Miller were radical experiences for me as a film-lover. Probably hard to get but very highly recommended from my side, the tv series (abt 5 hrs) he directed in late 80's called Tanner '88. It's a masterpiece, kind-of sequel to Nashville. Hey Alok, good to see you here after so long! I know about Images but never managed to see it. Maybe I haven't completely got your meaning, but to me the effect of those scenes is very much that of a director showing me what he wants me to see, very selectively. I don't feel any more "liberated" than I do while watching (say) an Ozu movie. That isn't a criticism, of course. "...PTA's early work (Boogie Nights and Magnolia) reminded me so much of Altman"
Rahul: Don't know if you were aware, but PTA was a back-up director on A Prairie Home Companion, in case something happpened to Altman and he couldn't complete the film. Of course I didn't mean to diss ford wyler et al (can't even imagine), just because they put something in bg doesn't mean we shouldn't pay attention to what's there. I mean that's how they achieve the dramatic effects. I was watching Jacques Tati's Playtime just the other night... most of the interesting action there happens in the background! A fan apart: Thanks I had no idea! That would probably mean that Altman also admires PTA. Recently I was reading "remains of the day" and found that Ishiguro does not actually describe the meeting between Stevens and Kenton as it happens but describe the events before and after. This immediately reminded me of Ozu's elliptical narrative technique. On an impulse I googled Ishiguro + Ozu and it turns out that Ishiguro himself has acknowledged his debt to Ozu. Subsequently, I saw the movie and found that they have done with the elliptical narrative device, and the ending is very much linear. So, ironically, a technique which was inspired by film and employed in literature,, was in the end considered not too suitable for film? I believe this is a case of a particular technique rising above the essential nature of a medium. So when we define, implicitly or explicitly, the essential nature of a medium,could it be that we, implictly or explicitly, are doing that in terms of the techniques used and we are taking a historical\empirical view? There could be an adoption of techniques from one medium to other and boundaries could be blurred? Of course, this is notwithstanding the fact that there is at least one point in which the mediums will always be different and that will inform their essential nature so to speak i.e. the sensory organs used to appreciate them. Rahul: interesting comment, thanks - I'm a huge fan of both Ozu and Ishiguro, by the way. Are you talking about their final meeting? But he does describe it - unless you mean that the book isn't written in the present tense. As I recall, the narrative is akin to a series of journal entries that Stevens writes during the course of his trip. Maybe I should read it again. So, ironically, a technique which was inspired by film and employed in literature, was in the end considered not too suitable for film? Or maybe Merchant-Ivory just didn't consider it suitable for their purposes (they are among the least inventive of filmmakers). That said, I'm quite intrigued by this example. How, in your view, might Ozu have filmed Remains of the Day? I'm finding it difficult to work it out, because he never used a flashback in any of his movies, and Ishiguro's novel keeps weaving between the present and the past. Alok: don't know if you saw this post I did about Play Time. 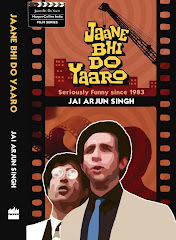 Jai, Yes the book is written in the past tense and the whole story is narrated in a series of flash backs. But, the thread in which Stevens is going to meet Kenton is in the present tense. "It is now fully two days since my meeting with Miss Kenton in the tea lounge..."
Then he goes on to describe a conversation he had with a man on the pier and concludes with a discourse on bantering! I believe that Ozu may have elided the whole scene of the meeting-and may have shown Stevens reminiscing about it on the pier, during the conversation with the man and ended with a voice-over on bantering. The Merchant Ivory version ends with the shot of a bird which is helped to escape by Stevens, and then the camera takes a long shot of the place; indicating that Stevens is still trapped. I do not know what Ishiguro himself thinks about this ending-maybe it was done with his approval- but I think it is a bit more judgmental than the overall tone of the book. Rahul: this occurred to me too, but I don't really see how this would capture the emotional power of the passage where Stevens realises that Kenton won't be coming back. His line "why not admit it - at that moment my heart was breaking" (I think that's what it was) is the closest he comes in the book to revealing his deep feelings, and that's what makes it so devastating - but Stevens isn't saying those words to another character (such as the man on the pier), he's saying them to the reader (or to his private journal). It's a literary device that allows us to briefly look inside the man without having him explicitly express his feelings to another person (which he's incapable of doing - that's the whole point). To really capture the importance and the sense of loss and waste of that moment, I think it would be necessary to show Stevens and Kenton together (and to have them played by actors of the calibre of Hopkins and Thompson, who can do restraint convincingly, so that you get the sense of a lot remaining unsaid). 1.There is a sense of quiet,stoic and graceful acceptance of the situation and moving on with life. 2. The viewer has to fill in with her own imagination the missing scene. These two points combined with the fact that the whole book,or film, is about the build up to the meeting, makes this version at least as much poignant than the other one,to me. Of course, Ishiguro can have his cake and eat it too, since he writes that passage which you mention, after having reaped the benefit of ellipsis, and having given sufficient indication to the reader how the meeting has concluded. Anyway,an afterthought: I think viewers\readers have a romantic notion of the creative process, so to speak, that it involves random acts of inspired genius, when the works of art are probably the result of highly technical, deliberate and studied effort.Of course, it is something to credit the technique of a particular writer for, that, more often than not, the works of art do appear to be effortless. Rahul: have you read any other Ishiguros? Just asking because I don't think that ending is about "quiet, stoic and graceful acceptance of the situation and moving on with life". All his novels, without exception, end with a self-deceiving narrator trying to persuade himself/herself that things aren't so bad after all - whereas the reader knows better, having been made privy to irrevocable loss and a powerful sense of a wasted life. Of course, these things are always open to interpretation, but to my mind Ishiguro's endings have always been very bleak. And his narrators are always unreliable, so one hesitates to take their apparent optimism at face value. I haven't actually. I do have Unconsoled and Never Let me Go with me, which I will start sometime in near future. What do you recommend? Anyway, the point I was making is that the impression of stoicism makes the scene more poignant.As regards the interpretation,I have not tried to come to an absolute conclusion, in that I believe his life would be a mixture of hope and despair,and if he does believe that he looks forward to the remaining part of his life, who am I to second guess him? Mind you, this is not something that can be objectively verified like the racism of Darlington etc., in which,and in many other matters,he has tried to fool himself. In any case I do not believe that having an absolute interpretation is even important or helpful in enjoying the novel. I revisited Nashville today. And yes, I get your point. Altman is as much a director of audience as someone like Hitchcock or Lang. In Nashville, the camera keeps moving around in a seemingly "random" fashion. Yet, there is an invisible hand at work. Just about every random cut tells you something about the characters. Altman's style is invisible like that of the old masters and yet strikingly original. It really is a film that blows you away. Despite all its dialogue, Nashville is an example of pure cinema in its own way. It's a shame that Altman's films aren't as well known among modern audiences as those of lesser filmmakers like Lumet or even Coppola.